N°4 started out as a misguided project aimed at measuring the internet’s rate of growth. In 2000, I macgyvered a script that scraped search results from a range of search engines. At set intervals, the bot asked Altavista, Yahoo, etc., how many pages listed a number: 1, 2, 3 and so on. The underlying assumption was that numbers would be less susceptible to long-term fluctuations than words and therefore less likely to skew the data set. So the script started scrobbling the count of a range of integers. To reduce server load I ultimately configured the setup to use just one search engine and to focus on just one single number – for no particular reason, I settled on four. So, over the years the script diligently consulted Google and plotted the rise of 4. It quickly became clear though that the data didn’t provide any meaningful insight into the organic growth of the web whatsoever. It suggested billions of 4’s could appear out of nowhere, to disappear just as readily a few milliseconds later. 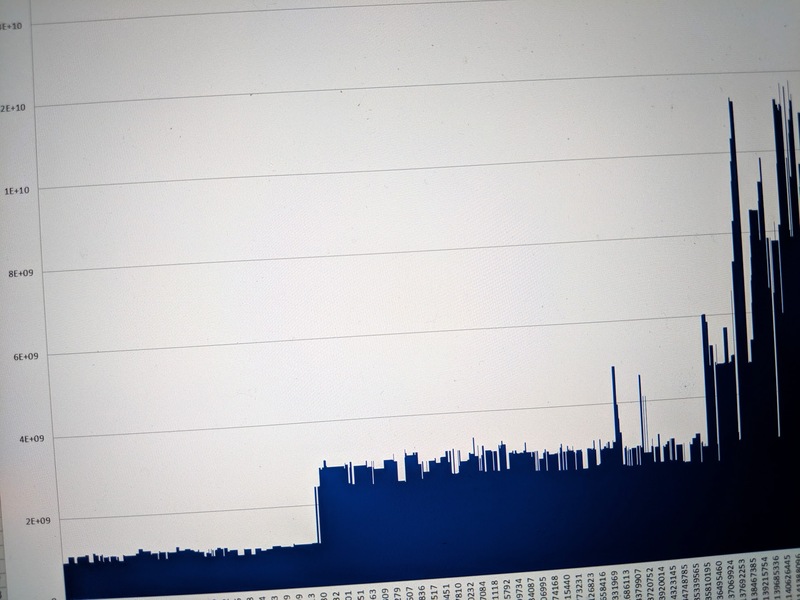 The graphs didn’t reflect the reality of the usage of numbers on the web – instead, they simply illustrated how Google’s server farms periodically scaled up and down, causing abrupt changes in the algorithm’s estimates. This failed project ‘no. 4’ was the – paradoxically – first of many experiments in new media. And, as a name, legal entity and far-too-difficult-to-pronounce URL, it still remains the starting point for some of my ventures.